Akkadu is a platform providing high quality, original and translated, content of events including audios and presentations. Akkadu helps event organizers reach more audience globally through live podcasting and interpretation, engage audience with translated Q&A, polls and chat during and after the events, and make more money by charging listeners for content before and after the event. 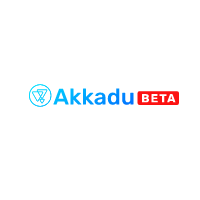 It helps interpreters get more jobs via Akkadu platform, get income flexibly and easily, and save time and energy by working remotely even from home. It also helps audiences access to high quality content paid or free in their own languages, learn remotely, and join a community with people with shared interest over country and language barriers. Akkadu’s dream is to build and connect communities all over the world in a high quality knowledge sharing platform with no language barriers, by making events available to anyone anytime anywhere.